This is a hilarious clip. I keep watching it over and over again. 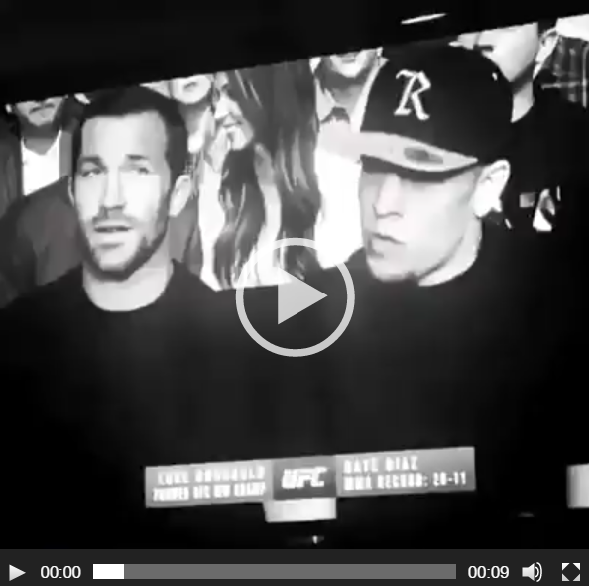 So at the UFC 209 event, the cameras caught a glimpse of Nate Diaz and Luke Rockhold watching from their seats. And so naturally, Nate Diaz starts flashing gang signs. Luke tried to follow along. And the result? Luke fails miserably (and hilariously). Just watch for yourself. H/T to MMA Imports for the find.